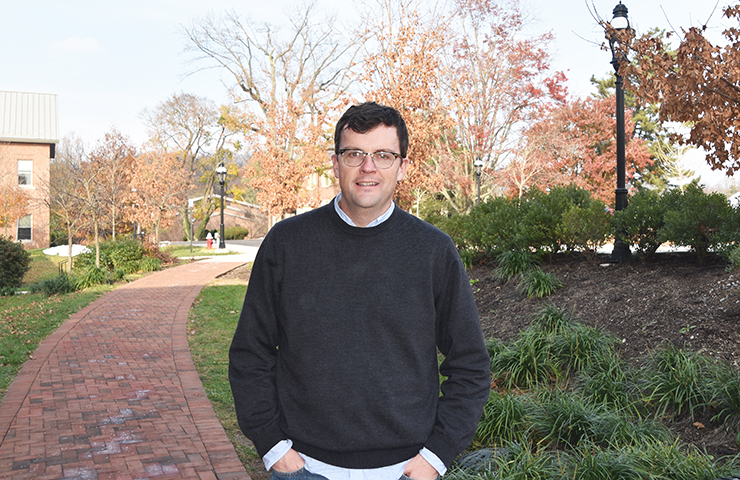 One of George School’s newest faculty members, Kevin Fox, brings a wealth of global experience and knowledge to the history department. Kevin uses these experiences to help his students think more globally. “I have a homemade documentary about beekeeping in Paraguay that we watch when we learn about economic development in the developing world. I think seeing this brings extra texture to the classroom. You can’t be a global citizen without understanding the geography of the planet we call home,” he said. The Advanced Placement (AP) Human Geography class is now a requirement for all first-year George School students. The new requirement, according to Kevin, was designed to introduce global thinking right away—rather than wait until students are in their second or third year. Kevin earned a Bachelor of Arts in political science from the University of Connecticut and Master of Arts in geography from Ohio University. In addition to teaching four sections of AP Human Geography, he is an Orton dorm parent, world traveler, and devoted Huskies fan.